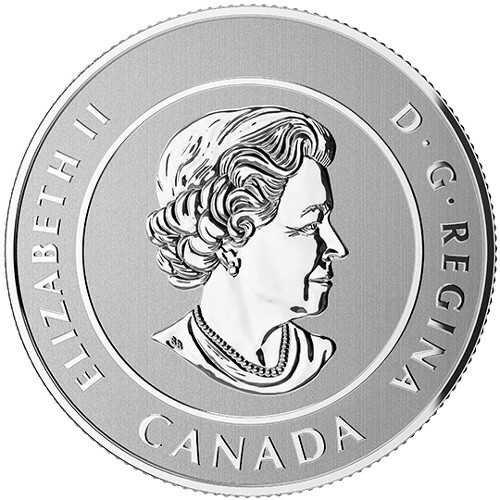 The Royal Canadian Mint produces a number of beautiful coins, and many of them are available for the face value of the coin. 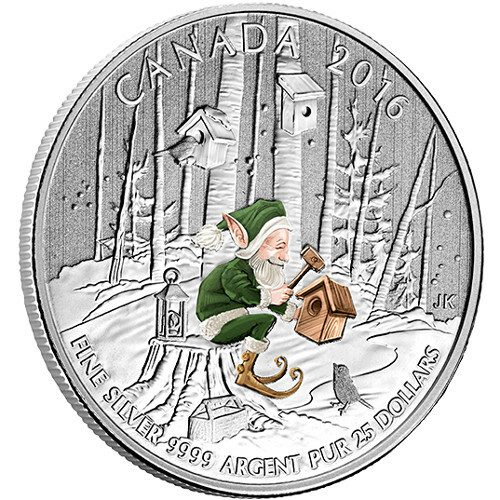 As part of the $25 for $25 Series, the 2016 1/4 oz Silver Canadian Woodland Elf Coin is a beautiful colorized coin with great value. Now, you can get these coins from Silver.com. Arrives in a clear vinyl pouch. Mintage limited to 275,000 coins! Part of the $25 for $25 Series! Consists of One-Quarter Troy ounce of .9999 fine silver in Brilliant Uncirculated condition. Bears a face value of $25 (CAD) backed by the federal government of Canada. Reverse features a colorized Woodland Elf design. 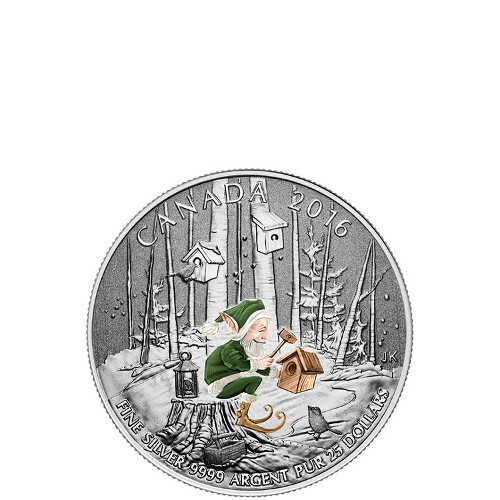 Just in time for the holiday season, the Royal Canadian Mint released the 2016 1/4 oz Silver Canadian Woodland Elf Coins as part of the $25 for $25 Series. Each of these coins bears a $25 face value backed by the Canadian government. 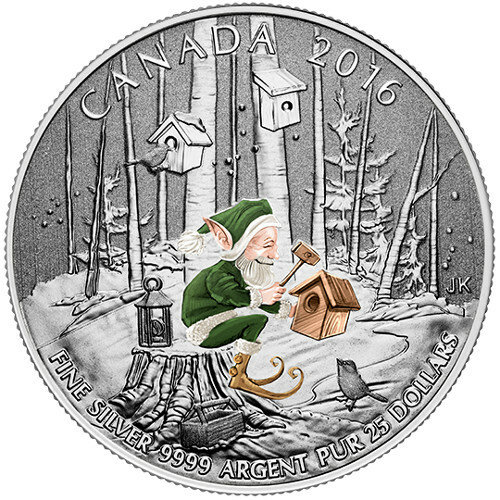 On the reverse of each 2016 1/4 oz Silver Canadian Woodland Elf Coin you will see the colorized image of an elf building a bird house. He is clothed in bright green and the ground and trees are covered in snow. The artwork was designed by Jesse Koreck, a Canadian artist. Every coin in this listing is in Brilliant Uncirculated condition. These coins will show no signs of wear and tear, but they may have minor flaws, including breaks in luster, spotted surfaces and contact marks. These coins are special, as they have a unique specimen finish. This means that the design is struck against a matte background for maximum visual impact. They are also struck twice to get the correct level of shine. The Royal Canadian Mint was founded in 1908 in Ottawa. Now, there is a second minting facility in Winnipeg. The RCM creates all sovereign coinage for Canada.